payday loans update and a potential manual penalty on Ebay, there were notable victims of the Panda 4.0 update which included major press release sites. Both Search Engine Land and Seer Interactive independently verified a profound traffic loss on major press release sites following the Panda 4.0 update. While we can’t be certain that Google did not, perhaps, roll out a handful of simultaneous manual actions or perhaps these sites were impacted by the payday loans algo update, Panda remains the inference to the best explanation for their traffic losses. Once Google had these answers from real users, they built a list of variables that might potentially predict these answers, and applied their machine learning techniques to build a model of predicting low performance on these questions. For example, having an HTTPS version of your site might predict a high performance on the “trust with a credit card” question. This model could then be applied across their index as a whole, filtering out sites that would likely perform poorly on the questionnaire. This filter became known as the Panda algorithm. tutorial on running your own Panda questionnaire on your own website, which is useful not just for Panda but really any kind of user survey. The graphs and data in my analysis come from PandaRisk.com, though. Full disclosure, Virante, Inc., the company for which I work, owns PandaRisk. The graphs were built by averaging the results from several pages on each press release site, so they represent a sample of pages from each PR distributor. So, let’s dig in. In the interest of brevity, I have chosen to highlight just four of the major concerns that came from the surveys, question-by-question. But does this have to be the case? Of course not. Press release websites like BusinessWire.com have first mover status on important industry information. They should be the first to release insightful analysis. Now, press release sites do have to be careful about editorializing the content of their users, but there are clearly improvements that could be made. For example, we know that use of structured data and visual aids improves performance on this question (ie: graphs and charts). BusinessWire could extract stock exchange symbols from press releases and include graphs and data related to the business right in the post. This would separate their content from other press release sites that simply reproduce the content verbatim. There are dozens of other potential improvements that can be added either programmatically or by an editor. So, what exactly would these kinds of changes look like? Freebase on the Securities and Exchange Commission, which could easily be extracted as an entity from the documentation using, for example, Alchemy API. 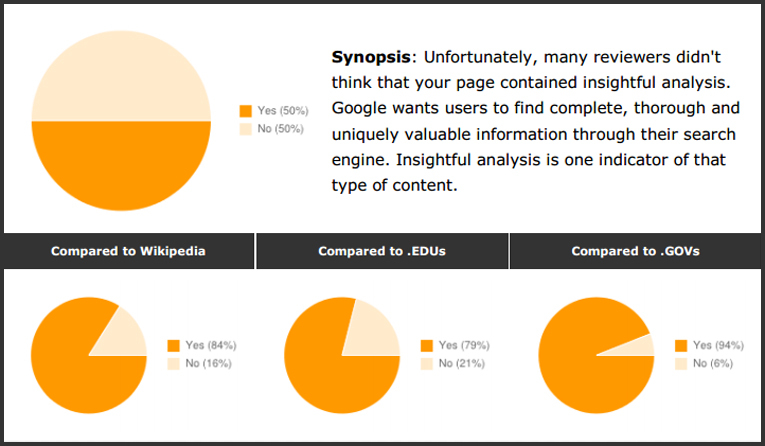 These modest improvements to the page increased the “insightful analysis” review score by 15%. epic fashion. 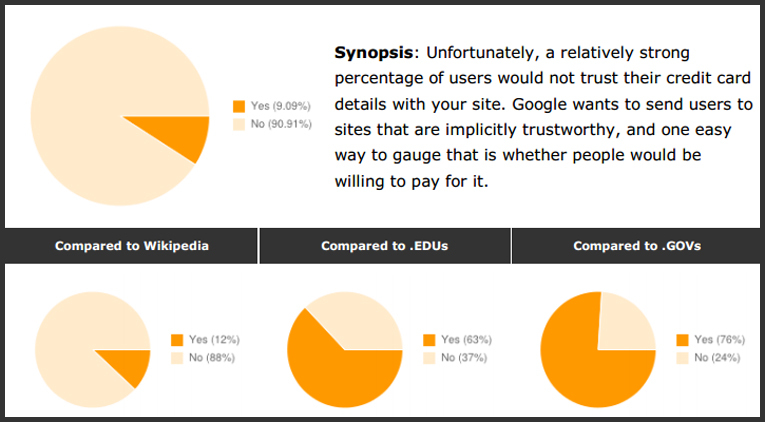 91% of users said they would not trust the site with their credit card details. This isn’t just a Panda issue for PR.com, this is a survival-of-the-business issue. Not every site needs to have HTTPS enabled, but if you have a 600,000+ page site with e-commerce functionality, let’s just go ahead and assume you do. Users will immediately trust your site more if they see that pretty little lock icon in their browser. old means insecure. The site PR.com looks old-fashioned by all measures of the word, especially in comparison to the other press release websites. It is no wonder that it performs so horribly. It is worth pointing out here that Google doesn’t need to find markup on your site to come to the conclusion that your site is untrustworthy. Because the Panda algorithm likely takes into account engagement metrics and behaviors (like pogo sticking), Google can use the behavior of users to predict the performance on these questions. So, even if there isn’t a clear path between a change you make on your site and Googlebot’s ability to identify that change doesn’t mean the change cannot and will not have an impact on site performance in the search results. The days of thinking about your users and the bots as separate audiences are gone. The bots now measure both your site and your audience. Your impact on users can and will have an impact on search performance. This question is particularly difficult for sites that both don’t control the content they create and have a wide variety of content. This places press release websites squarely in the bullseye of the Panda algorithm. How does a website that accepts thousands of press releases on nearly any topic dare claim to be an authority? Well, it generally doesn’t, and the numbers bear that out. 75% of respondents wouldn’t consider PRNewswire an authority. This was one of the very first reactions to Panda. Many of the sites that were hit with Panda 1.0 sub-domained their content into particular topic areas. This seemed to provide some relief but was never a complete or permanent solution. Whether you segment your content into sub-directories or sub-domains, what you are really doing here is helping make clear to your users that the specific content your users are reading is part of a bigger piece of the pie. It isn’t some random page on your site, it fits in nicely with your website’s stated aims. Just because you don’t write the content for your site doesn’t mean you can’t be authoritative. In fact, most major press release websites have some degree of editorial oversight sitting between the author and the website. That editorial layer needs to be bolstered and exposed to the end user, making it obvious that the website does more than simply regurgitate the writing of anyone with a few bucks. So, what exactly would this look like? Let’s return to the Businesswire press release we were looking at earlier. We started with a bland page comprised of almost nothing but the press release. We then added a graph and some structured data automagically. Now, we want to add in some editor creds and topic segmentation. Notice in the new design that we have created the “Securities & Investment Division”, added an editor with a fancy title “Business Desk Editor” and a credentialed by-line. You could even use authorship publisher markup. The page no longer looks like a sparse press release but an editorially managed piece of news content in a news division dedicated to this subject matter. Authority done. When I look at this question, I am baffled. Seriously, how do you make a site in which you don’t control the content worth bookmarking or sharing? Furthermore, how do you do this with overtly commercial, boring content like press releases? As you could imagine, press release sites fair quite poorly on this. 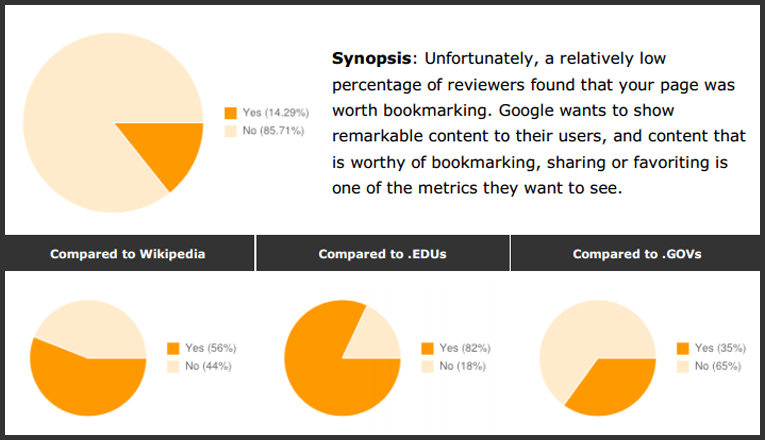 Over 85% of respondents said they weren’t interested at all in bookmarking or sharing content from PRWeb.com. And why should they? So, how exactly does a press release website encourage users to share? The most common recommendations are already in place on PRWeb. They are quite overt with the usage of social sharing and bookmarking buttons (placed right at the top of the content). Their content is constantly fresh because new press releases come out every day. If these techniques aren’t working, then what will? The problem with bookmarking and sharing on press release websites is two-fold. First, the content is overtly commercial so users don’t want to share it unless the press release is about something truly interesting. Secondly, the content is ephemeral so users don’t want to return to it. We have to solve both of these problems. meta expires tag on press releases. Sorry, but there is no reason for PRWeb to maintain a 2009 press release about a business competition in the search results. In its place, though, should be company and/or categorical pages which thoughtfully index and organize archived content. While LumaDerm may lose their press release from 2009, they would instead have a page on the site dedicated to their press releases so that the content is still accessible, albeit one click away, and the search engines know to ignore it. With this solution, the pages that end up ranking in the long run for valuable words and phrases are the aggregate pages that truly do offer authoritative information on what is up-and-coming with the business. 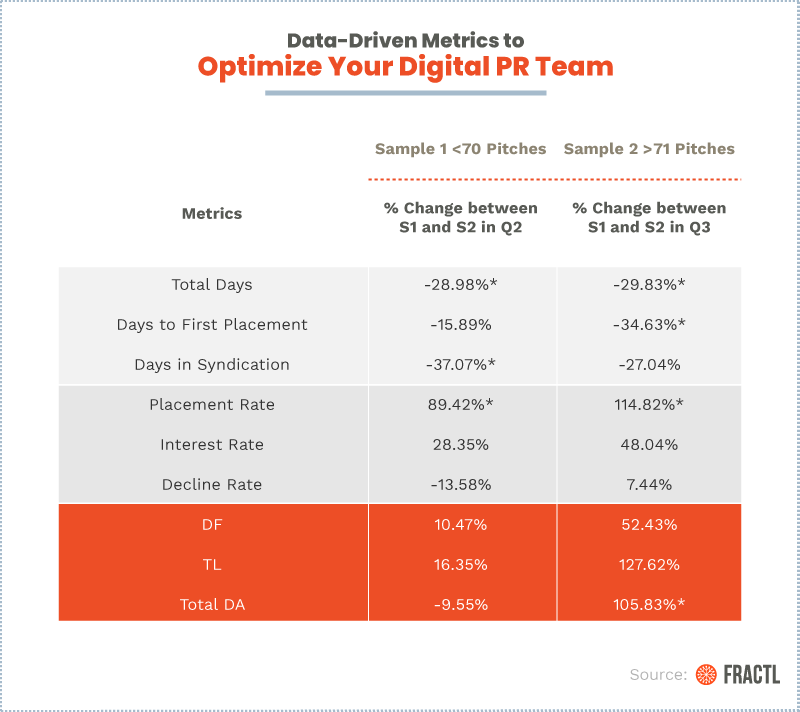 The page is sticky because it is updated as often as the business releases new information, you still get some of the shares out of new releases but you don’t risk the problems of PR sprawl and crawl prioritization. Aside from the initial bump of fresh content, there is no good SEO reason to keep old press releases in the index. even if Google didn’t exist at all, you should aspire to have a website that scores well on all of these metrics. Having a site that performs well on the Panda questions means more than insulation from a particular algorithm update, it means having a site that performs well for your users. That is a site you want to have. Take a look again at the questionnaire. Does your site honestly meet these standards? Ask someone unbiased. If your site does, then congratulations – you have an amazing site. But if not, it is time to get to work building the site that you were meant to build. Google vs the Press Release: Manipulation or Good Business? Google thought it was time to remind everyone that link schemes are a violation of their webmaster guidelines and anyone caught trying to game the system will be severely dealt with. Of course. We get it. We all know about black hat SEO and about Panda and Penguin and the rest of the zoo. We got the message and most of the marketers online have fallen in line and have nothing to worry about. Yes, they just took a shot at press releases – the workhorse of the business world. Now, I understand that a press release with twenty linked keywords is probably nothing more than an attempt to scam the system but this paragraph makes it sound like linked text must be completely banned. And can we talk about the phrase “distributed on other sites?” So if you post a press release to your own company blog, that’s okay but if you release it through a wire service you’re going to get dinged? Am I reading that wrong? I can’t ask a blogger to link to my website or my book when they review it? That’s crazy. I understand that Google is trying to weed out the spammers from the people with helpful content but even good content needs a shove to get started. And as a reader, a blog post or press release without links is useless. I guess I’m supposed to copy and paste the relevant phrases into Google and search for the link myself. Bizarre. I’m hoping that Google’s real intent here is to stop people from trying to cheat the system. That’s fine. But if they knock down my page rank because I link to the Amazon page for the DVD I just reviewed, I’m going to get really angry. I’m not trying to manipulate the system, Google, I’m just trying to make a living. What do you think? Is this anything to worry about? Here are a few common examples of unnatural links that violate our guidelines:….Links with optimized anchor text in articles or press releases distributed on other sites. So, links gained, for SEO purposes – intended to manipulate ranking – are against Google Guidelines. In this chat, Google’s John Muller says that, if the webmaster initiated it, then it isn’t a natural link. If you want to be on the safe side, John suggests to use no-follow on links. But because some webmasters appear to lack self-awareness about what it is they are actually doing, they persist with their line of questioning. I suspect what they really want to hear is “keyword links in press releases are okay.” Then, webmasters can continue to issue pretend press releases as a link building exercise. If webmasters continue to let themselves be defined by Google, they are going to get defined out of the game entirely. It should be an obvious truth – but sadly lacking in much SEO punditry – that Google is not on the webmasters side. Google is on Google’s side. Google often say they are on the users side, and there is certainly some truth in that. This is because some webmasters, namely SEOs, don’t just publish content for users, they compete with Google’s revenue stream. SEOs offer a competing service to click based advertising that provides exactly the same benefit as Google’s golden goose, namely qualified click traffic. If SEOs get too good at what they do, then why would people pay Google so much money per click? They wouldn’t – they would pay it to SEOs, instead. So, if I were Google, I would see SEO as a business threat, and manage it – down – accordingly. In practice, I’d be trying to redefine SEO as “quality content provision”. Why don’t Google simply ignore press release links? Easy enough to do. Why go this route of making it public? After all, Google are typically very secret about algorithmic topics, unless the topic is something they want you to hear. And why do they want you to hear this? 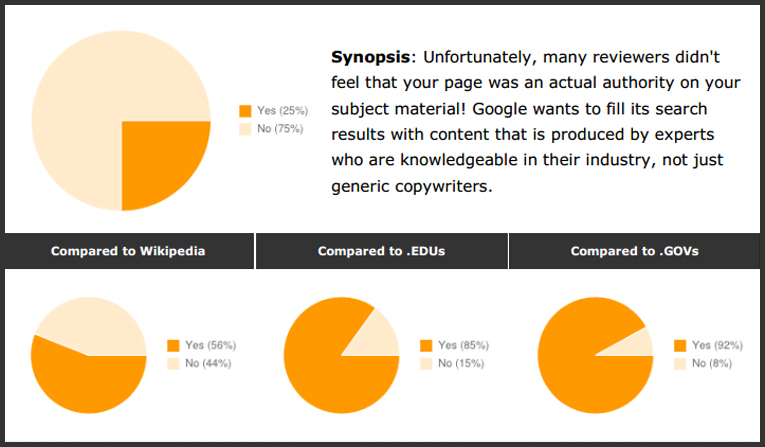 An obvious guess would be that it is done to undermine link building, and SEOs. …..but it’s not unreasonable to expect a somewhat easier route for litigants in the future might be “not complying with Google’s guidelines”, unless the SEO agency disclosed it. I suspect that most legitimate PR agencies, media-relations departments, and publicists will be happy to comply with Google’s guidelines. Why? Because, if the term “press release” becomes a synonym for “SEO spam,” one of the important tools in their toolboxes will become useless. Take a look at the Boston Globe, sold along with a boatload of content for a 93% decline. Quality content sure, but is it a profitable business? Emphasis on content without adequate marketing is not a sure-fire strategy. Bezos has just bought the Washington Post, of course, and we’re pretty sure that isn’t a content play, either. Focusing on the minuate of Google’s policies is, indeed, to miss the point. Yesterday we reported about the link schemes Google update and later on I had the opportunity to ask Google’s John Mueller specific questions about this update and what it means. PRWeb Lead To Fake Press Release. How Should Google React? Earlier this week, I spotted a press release pushed out by PRWeb about Google acquiring WiFi provider ICOA for $ 400 million. Conducting primary research in your market and sharing the results can be a very effective link building tactic. Especially, if the market your research is actually 'link building' itself. On Friday evening, I picked up a retweet from @wilreynolds which pointed me to a detailed review of free press release sites from Vitispr.com. 1. Do journalists and bloggers actually use these press releases for stories? 2. Would the release appear on Google News? 3. Would the release appear in a Google web search? 4. How easy are the free release sites to use? 5. Do free release sites help with link building? 6. Could the sites be used to help 'own' the search results for a targeted phrase? There are a myriad of free press release distribution services: I've tried some before but haven't been at all impressed with the results. As Vitispr says, "what's the use of writing and issuing news if no-one covers it?". The all important part of media relations is "talking to journalists, editors and bloggers to understand what kinds of story would interest them" – and then gearing your pitches to what they want. This is obviously something they feel strongly about as they spent a month testing 60 sites with four real press releases and carefully monitoring the results. None of the reviewed sites succeeded in reaching key influencers. Three out of 60 sites managed to get the story on Google News – Online PR News was the best. Some press releases did appear on page one of a Google search on a targeted phrase – PR Fire was most successful. None of the releases were picked up by a source of what might be called a valuable link. However, three of the sites did result in 'low value' links. once you've been successful with one journalist or editor or site, then you can build on that relationship in the future. I don't use free distribution stories when I release stories, and though I do use premium paid-for services, it's not the main focus of our campaigns, but more a 'sweeping up' process. It's a lot of work but it pays dividends long term. 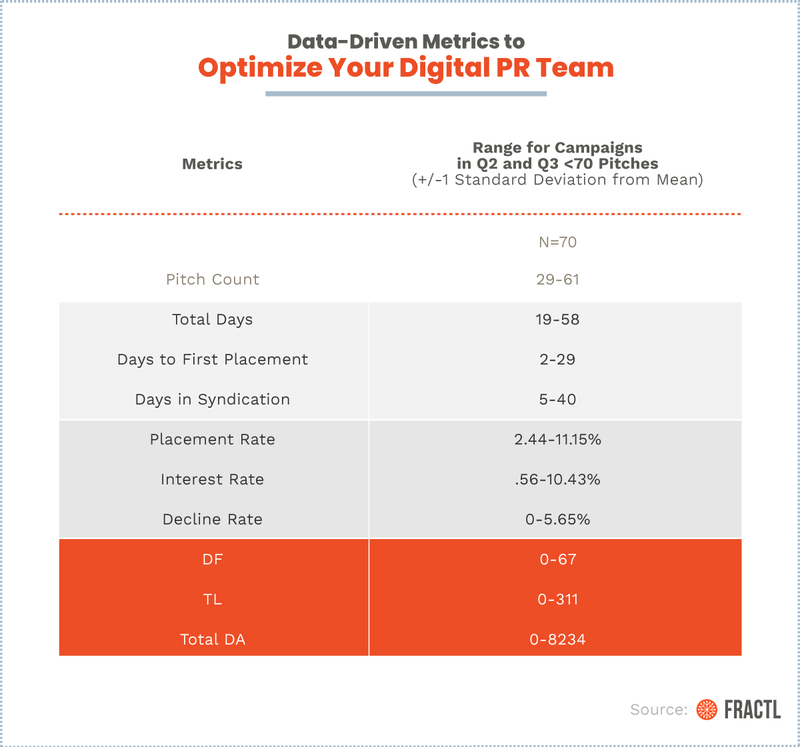 This study shows that there is no easy way to be successful in online PR – it takes creative thinking, preparation and execution.